Prince Dwarkanath Tagore, a rich businessman in the 40s of 19th. Century, owned quite a number of collieries in Raniganj and Rajmahal area. Dwarkanath visited England in January 1842 when he had a ride on a train. He could visualize railways role in facilitating faster movement of goods and passenger. Back from England in January 1843, he formed a company called “Great Western Bengal Railway Company” with the aim of transporting coal from his Raniganj colliery, and thereby the seed of railway was sown in Bengal. In the mean time Mr. McDonald Stephenson had already floated shares for East India Railway Company incorporated in England. Dwarkanath wanted a railway line to his collieries and proposed to raise one third of the capital for this portion of the line. When Dwarkanath revisited England in 1845 to negotiate with the Company bosses, he faced bitter opposition and the Company disagreed to permit a company under “native management” to construct such an important railway line. Dwarkanath came back to India with a broken heart and died on 1st August 1845. Immediately after his death the Carr Tagore and Company went into liquidation. Dwarkanath had already spent a large sum on his railway project. After his death the “East Indian Railway Company” and Dwarkanth’s ” Great Western Bengal Railway Company” merged into one and in January 1847. 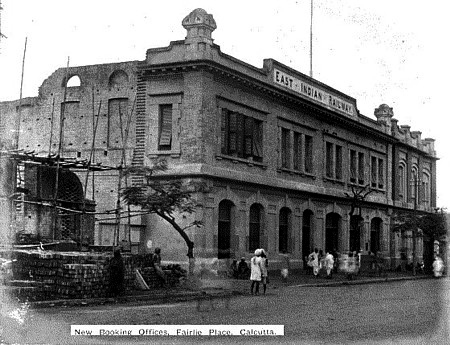 The new Company was named ” East Indian Railway” or “E.I.R.” as popularly known afterwards. Dwarkanth’s dream of connecting Raniganj to Howrah by rail came true after 10 years of his death in 1855. In May,1855, the East Indian Railway Co. was founded. The managing director of this company Mr. R. McDonald Stephenson, the founder of the East Indian railway.